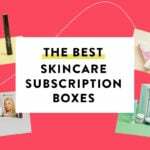 FYI, Sunday, March 24th, is the last chance to lock in Birchbox rates for a year before the prices increase for new subscribers. Click here and use coupon code BESTYEAR99 on an annual subscription – that brings the cost down to $99 for 12 months = $8.25 a box. Check out spoilers of April to see what you’ll be able to pick from next month! Beginning March 25th, Birchbox is updating their pricing structure and improving their box experience. If you are a current subscriber, this change in pricing won’t impact you until June 1st, and if you are an ACE, you keep the $10 a month cost as long as you maintain your ACE status. Check out our reviews of Birchbox to learn more about this monthly beauty subscription box. Details: Offer valid through 3/24/2019 at 11:59 PM E.T. Subscriptions purchased after this date will be billed at our new rate. Rebillable subscriptions will renew at the new rate upon completion unless opted out of auto-renewal. This is the first I’ve heard of the price increase. I will be cancelling. Yeah I signed up using a first15 code I heard of! Brought it down to 100. I’ve tried boxy, glossy and gbp. I’m honestly the most happy with my smaller sample boxes. So it’s a good deal. I have subscribed off and on to Birchbox for years. It was one of my first subs. Unfortunately since I’ve been subscribed to so many other beauty subs, BB just didn’t compare after a while. I was usually lucky if I got 2 samples I liked or at least wanted to try. And my collection of mini hair styling products takes up a whole drawer which are mainly from BB and I rarely use product on my hair. I also felt they had too many brand and especially product repeats which always confused me since they sell such a wide variety. I’ve continued to buy things from the site fairly frequently due to the good promotions and unique kits and sets. I decided to give them one more try with the 3 month sub using the sleep spray & candle code. I’m really rooting for them to make some great changes so they can remain competitive. The year promo was a good deal but I didn’t want to gamble too much. Hoping they’ll win me over before my sub runs out. I wish they wouldn’t send your first box until the following month. For one thing you don’t get to pick your sample, and for March I own 2 of the 3 in full size already. And for another that really only gives them 2 months to win me over and they have several changes that may not get implemented in time. Oh well. Guess I’ll find out! I have one box left on my subscription and i can’t seem to add the year to my cart unless i use a gift subscription…but then i add coupon code to it and it says i already used that code or something like that. I would of gotten it too. I was going to pass on the $110-per-year deal and wonder whether Birchbox was going to fold soon, but this $99 deal is enough… At $8.25 per box, I’ll even learn to live with their rigid “40% of each box is hair items” policy. Wonder if they’ll charge me sales tax. If they do, it’s $106 (still less than $9 per box). They did not charge me sales tax! Score! Is this also true for Birchbox Man; that is, the new pricing schedule, and the coupon? Birchbox Man pricing is not changing. Hope that helps! Can this offer be stacked with the free this works spray? It keeps saying invalid promo code and does not work. Promo code worked for me, and there was no charge for sales tax.